Raven Cypress Wood was born into a Christian family in Alabama, United States. Throughout her childhood, she focused upon gaining spiritual knowledge and experience and had many vivid dreams of receiving advice and healing knowledge from her ancestors. At the age of 18, feeling that Christianity was limited in its view, she began to study her ancestors’ native American traditions. Attending college, but mostly studying on her own, she began offering healing rituals and spiritual guidance to those who came to her asking for help after a vivid dream of an ancestor requesting her to be of service to others. For more than 12 years, she developed her ritual and counseling practice in order to assist with the healing and inner development of people regardless of their religious beliefs. In late 1999, after a strong visionary experience upon reading the name “Niguma” and seeing an image of the yogini, she made a vow that for 100 days she would pray and ask for her help in meeting an authentic lama. During this time, she read whatever she could find about Niguma, her teachings, and the Shangpa Kagyü lineage. 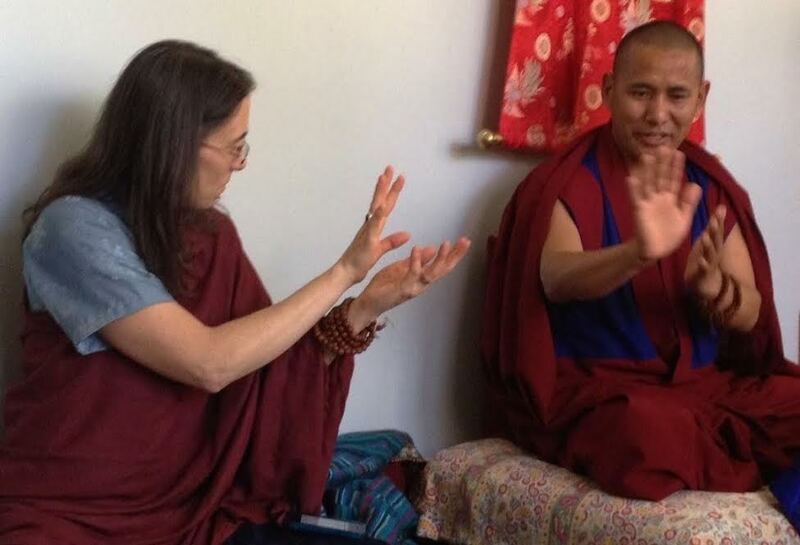 In the first half of the 100 days of prayer, she met Geshe Tenzin Wangyal Rinpoche and felt an immediate connection. A couple of years later, having received many teachings from Tenzin Rinpoche as well as other Yungdrung Bön lamas, she dissolved her thriving counseling practice and stopped her teaching and lectures regarding ritual and healing. Soon therafter, she was asked to join the Ligmincha Council and acted as retreat coordinator for four years. During this time, she moved from Massachusetts to Virginia and spent three months serving practitioners at Serenity Ridge who were undergoing the dzogchen practice of dark retreat. Afterwards, she lived at the retreat center for over six years and also acted as one of the caretakers of Serenity Ridge. When Raven began practicing the Yungdrung Bön tradition, she wanted to make more of the precious Tibetan language texts available in the English language, so she began to self-study classical written Tibetan. Over the course of many years, she has had the opportunity to study and practice with many esteemed Yungdrung Bön masters including His Holiness 33rd Menri Trizen Rinpoche, His Eminence Yongdzin Tenzin Namdak Rinpoche, and His Eminence Menri Ponlop Yangton Thrinley Nyima Rinpoche. With disciplined study on her own of Classical Tibetan, together with the help of many lamas, she began to translate various texts from Tibetan into English. In order to translate the Tsewang Chok du Jarima text, she learned to read the Tibetan umé, or head-less, script along with its many hidden letters. In order to accurately translate the Yungdrung Bön prayers and texts, she continually studies the historical, cultural and political contexts specific to Yungdrung Bön and its ancient origins. 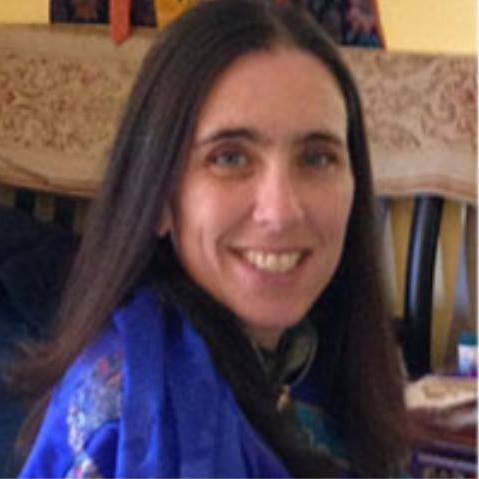 In 2011-2013, she assisted with the creation and implementation of Ligmincha International’s 1st Two-year Causal Vehicle Program teaching in-depth the rituals of longevity, soul retrieval, and death ransom from the Tséwang Chokdü Jarima as taught by the Yungdrung Bön ritual specialist, Geshe Nyima Künchap. In her translations, consideration is given to using English words that convey both the literal meaning as well as the implied meaning. With few exceptions, she does not use Sanskrit language words except for those that have come to be part of the general English lexicon. In this way, Raven’s English translations aim to stay true to the Yungdrung Bön and not be mixed with Buddhist contexts. Similarly, when translating texts such as prayer request that are written as poetry and meant to be accompanied by a melody and instruments, her goal is to translate the accurate meaning as well as convey the poetic beauty and tone of the original text. Her translations of texts that are meant to be chanted include the English translation as well as the original Tibetan together with a pronunciation guide in order to allow students to chant the texts in the Tibetan language. Raven Cypress Wood has translated hundreds of Yungdrung Bön prayers, poems, texts and commentaries and is the author of Indestructible, The Longevity Practice of Lama Tsewang Rikdzin. This book is a translation and detailed annotation of the most commonly performed longevity practice within the Yungdrung Bön tradition. As a yidam, Lama Tsewang Rikdzin can bestow any quality or wisdom that is needed. However, in this text, the healing and protection of the life force, vitality, and health are emphasized. This book was the first publication of Sacred Sky Publications, began by Geshe Tenzin Wangyal Rinpoche. This book is available from the Ligmincha International bookstore, Tibet Shop. Since 2013, she has been writing articles and offering information on the history, culture and practice of Yungdrung Bön religious tradition on her website Nine Ways. The website has been translated into the Spanish and Portuguese languages and is currently being developed for the French language. This is a beautiful and informative site. Thank you Raven. I appreciate all your careful and dedicated work. This is amazing Raven! E Ma Ho! And I discovered it and passed along the link to my Australian friends who are thinking of doing a Project Himalaya trek thru Dolpo next May. I look forward to going thru all your entries. Thank you for all this effort! I look forward to enjoying your site again and again. Raven, thank you so much for sharing your work this way! A very important and auspicious endeavor indeed! Raven – What a wonderful site this is! It is so informative and lovely to look at, too. Kudos to you for bringing forth this well crafted website that is dedicated to Bön teachings, Bön teachers, and Bön history. Now that I have found your site I will be recommending it to like-minded friends here in the Pacific Northwest. You have my deepest appreciation for your fine work. Wonderful. Marvelous. Superb. You were born under Three Fortunate Stars, and Three Protectors look after you. Your good fortune is immeasurably great. Great and beautiful and very helpful sie, Raven. Thank you! Hello, can you tell me where I can find the story of Tonpa Sherap’s life? Thank you so much for your response. Can you please write out his life story for all of us. Great job Raven .Thank You . so nice to see all the good work you are doing! You are amazing! Thank you for your service! I just started studying Tibetan with Geshe Chaphur Rinpoche. I deeply know this is something I am supposed to do, and continue with. I am not sure why yet, and that doesn’t matter to me. I just know it is for a reason, and I am going with the flow. Your Bio is very inspiring to me, and I relate to it very strongly! Thanks a lot for your effort, regarding the spreading of Bön. See your publications always as very useful and beneficial. Thanks for your contributions regarding the spreading of Bön Dharma. Its always a pleasure for me to read your work. Very useful and precious based on a good motivation. Go on with that ! Vielen herzlichen Dank für diese wunderbaren Informationen. Bin zum ersten mal auf dieser Seite und bin voller Freue. Bin Schülerin von Tenzin Wangyal Rinpoche habe jedoch 10 Jahre Pause hinter mir. Jetzt bin ich wieder da und bereite mich auf meine Reise nach Tibet und zum Mount Kailash vor und wohl auf alten Pfaden, die meine Seele kennt.